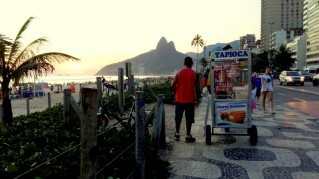 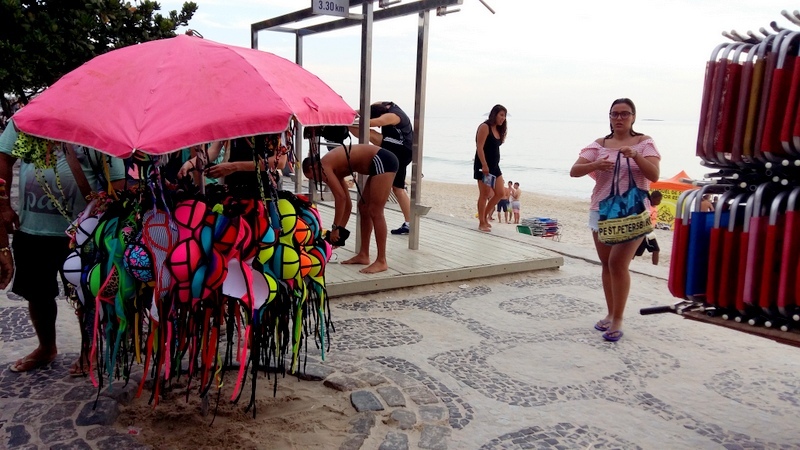 Ipanema was our favorite beach in Rio and a 2 minutes walk from our flat. 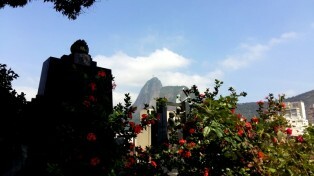 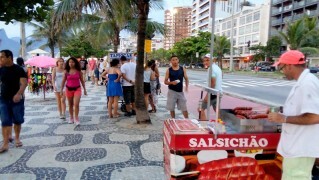 You can go there in the mornings/noon, have a huge Caipirinha, soak up the sun and watch the beautiful people go by. 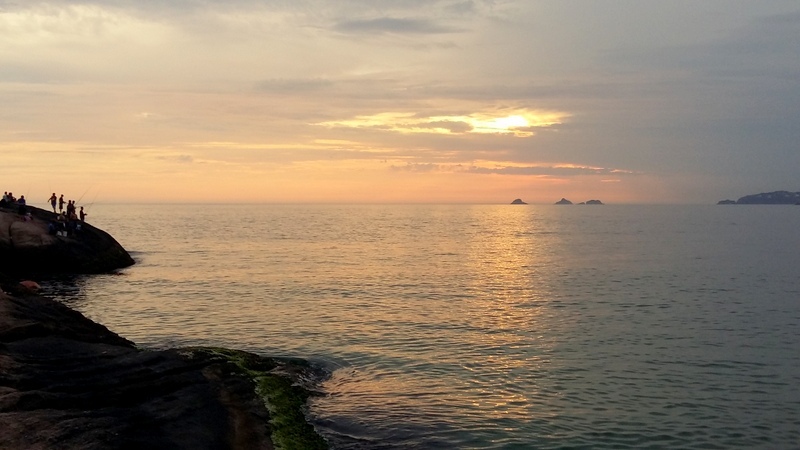 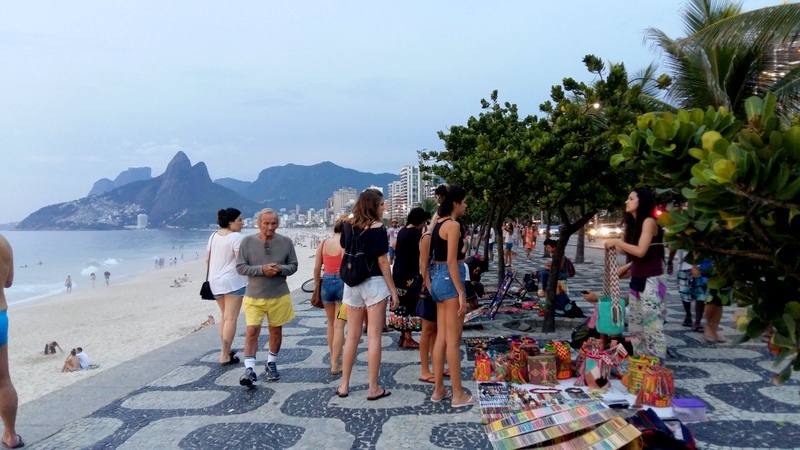 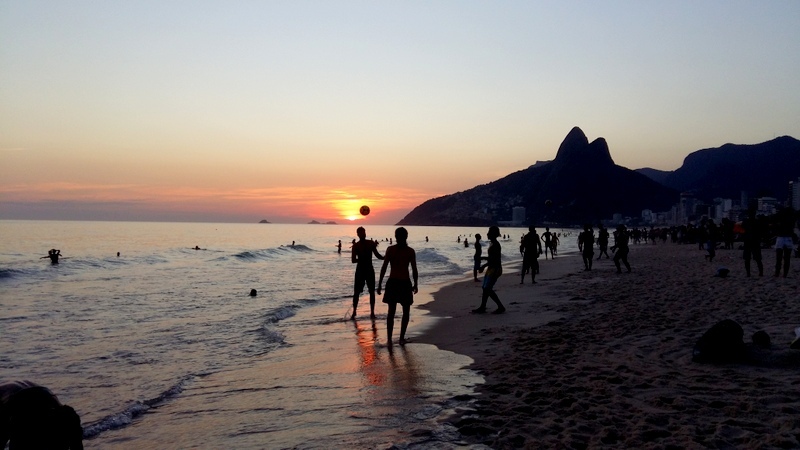 In the evenings we used to walk from Ipanema to the Arpoador beach, which is located between Ipanema and Copacabana, where you can climb up the rock and watch the sunset. 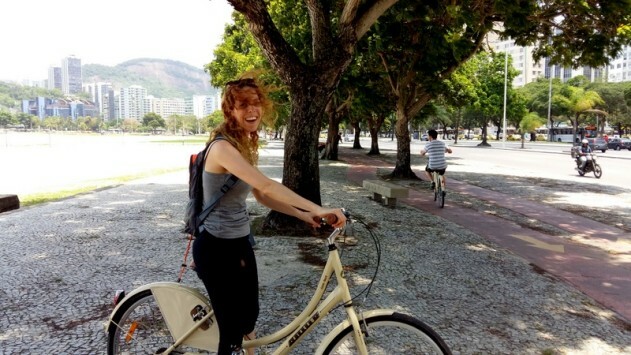 We booked a tour with “Rio by Bike” on our third day in the city. 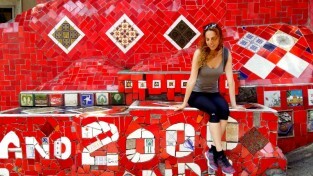 The tour was a lot of fun and gave us a chance to see the many barrios and main attractions this amazing city has to offer. 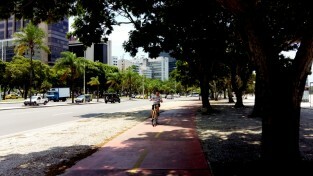 There are many bike routes so it was an easy and fun ride! 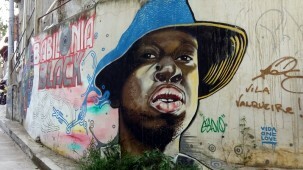 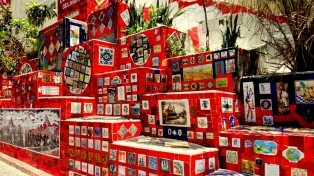 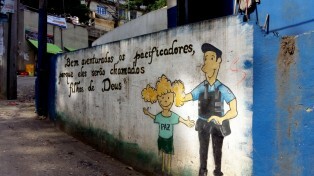 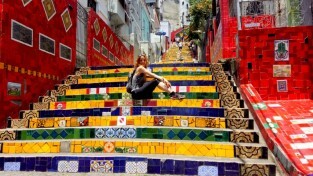 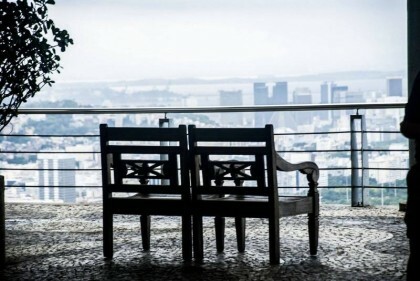 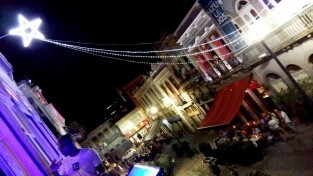 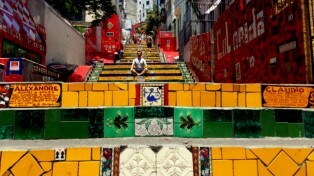 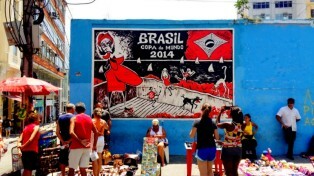 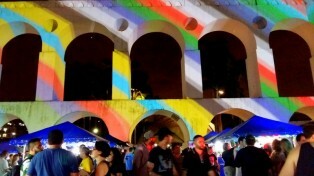 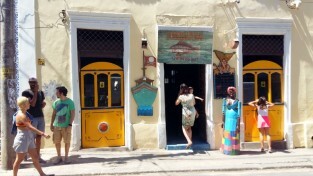 Go see the stairs in Lapa Neighborhood (and get really awesome pictures!). 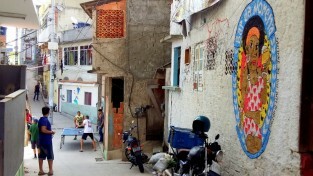 Our Airbnb host Joaquim took us to the Chapeu Mangueira favela, in the neighborhood of Leme, close to Copacabana. 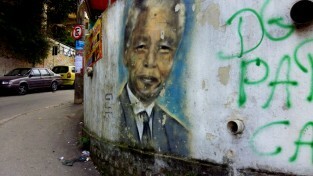 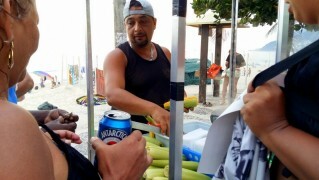 He showed us around and told us about the life in the Favela and we also got to meet a few of his friends. 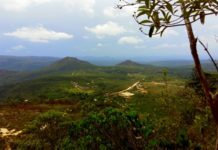 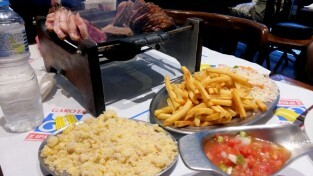 He then took us for lunch at Bar Do David, We climbed up the hill and got there. 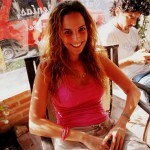 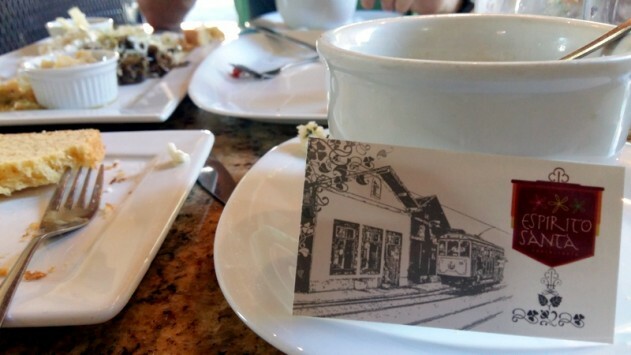 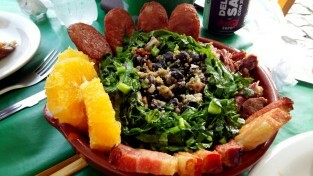 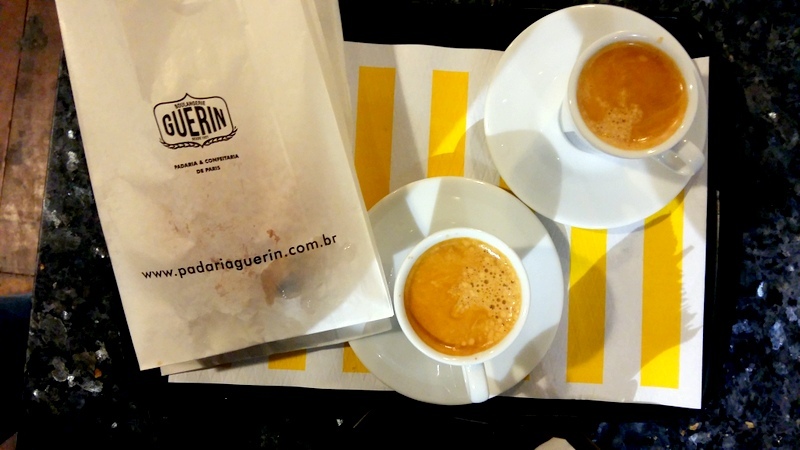 The owners and staff were super friendly and we ate homely and delicious Brazilian classics. 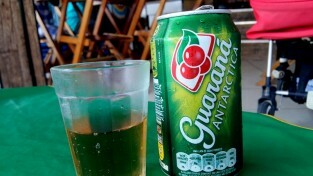 We had ribs with a spicy sauce, a Tropeiro Carioca and drank Guarana. 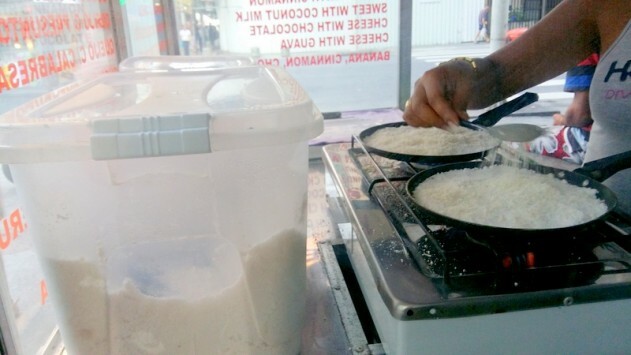 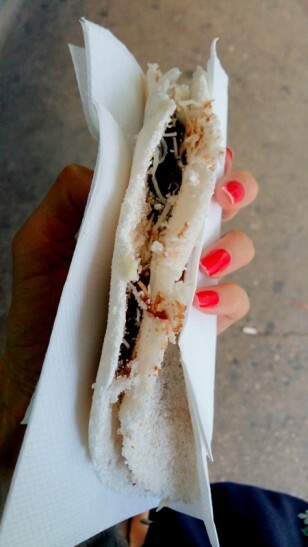 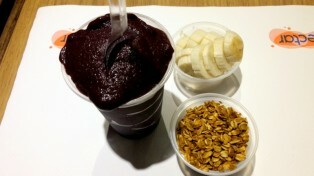 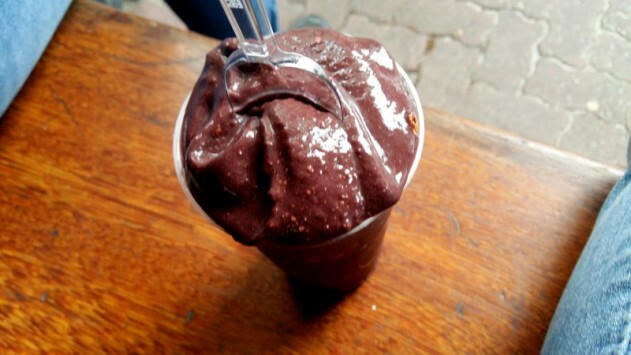 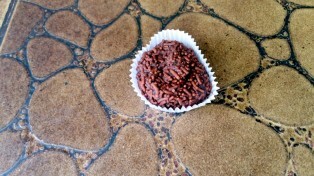 We then ended our Favela visit at a local shop, having a delicious classic Brazilian dessert, The Brigadeiro. 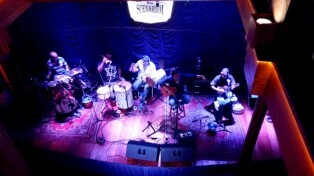 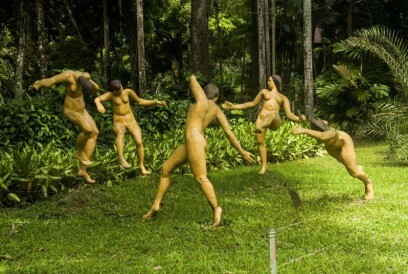 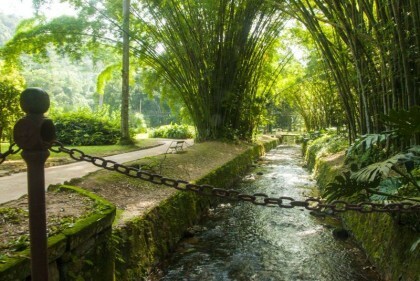 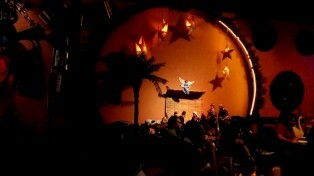 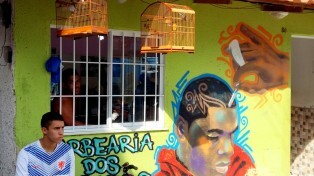 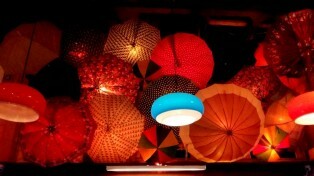 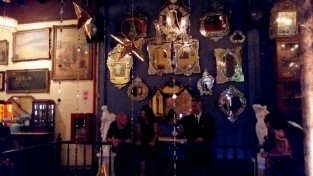 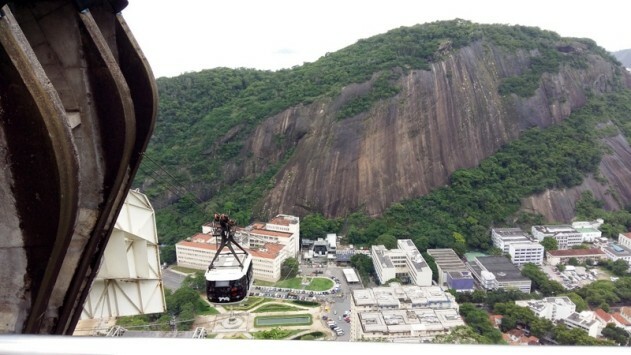 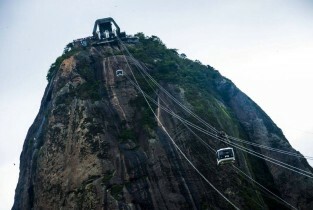 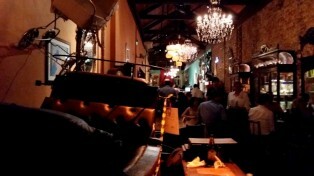 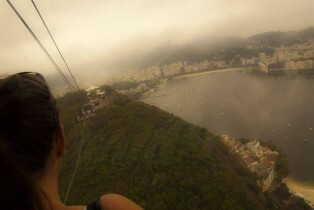 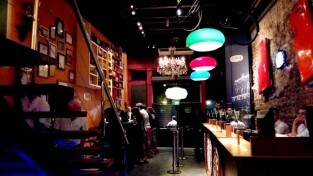 Going out to Rio Scenarium was by far the best thing we did while in Rio. 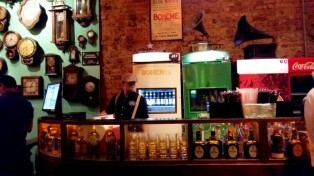 This 3 floor vintage style club in Lapa neighborhood was amazing – great live music, fun atmosphere and delicious food and Caipirinhas! 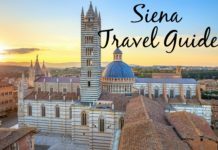 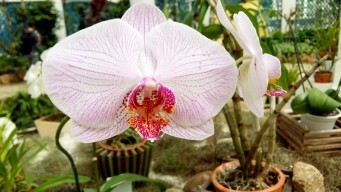 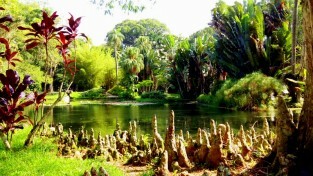 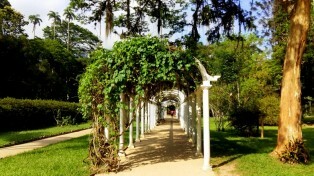 It is recommended to go there on weekends. 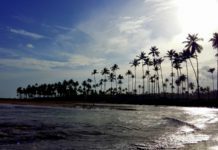 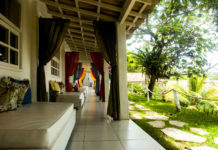 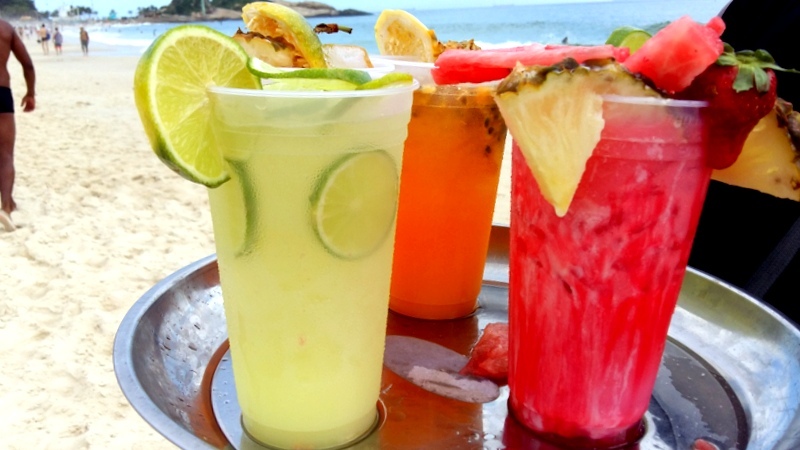 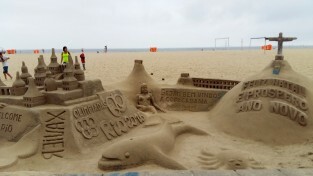 Enjoy the sand art, drink coconut water, go to one of the Botequim (with many live music shows in the evenings) and try different Petiscos (Portuguese snacks). 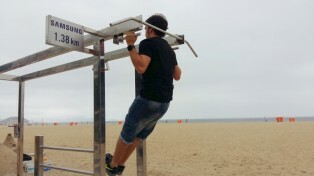 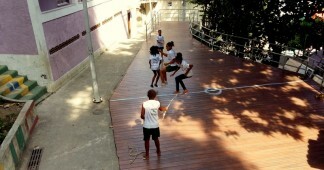 You can even do a bit of exercise at the calisthenics stations along the beach. 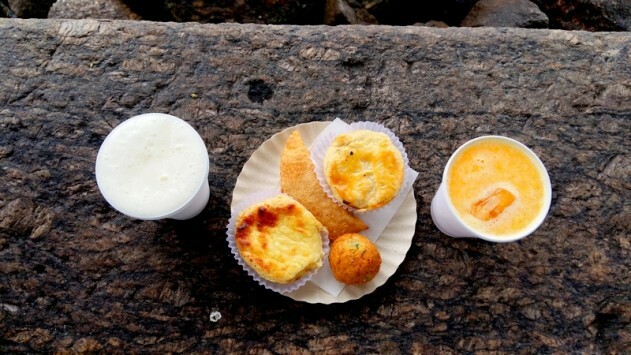 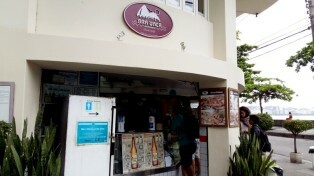 After Pão de Açúcar, go to the iconic Bar Urca and try these delicious Petiscos, fish and crab cakes with beer or fresh juices by the bay. 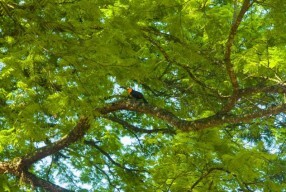 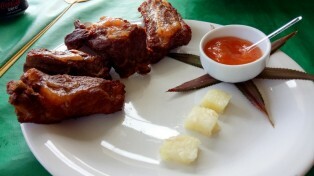 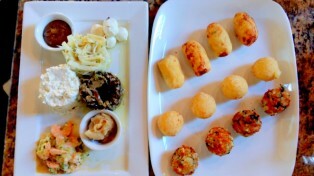 We went to Espiritu Santa restaurant and tried a few Amazonian dishes. 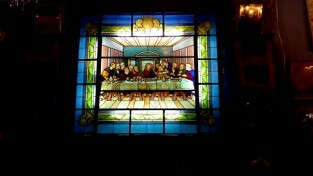 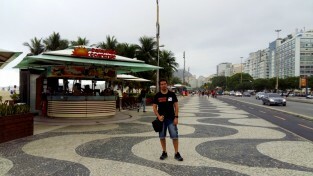 But there are many good restaurants in the area with amazing views of the city. 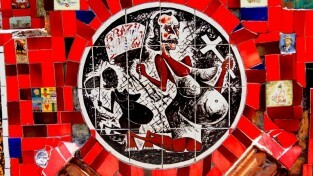 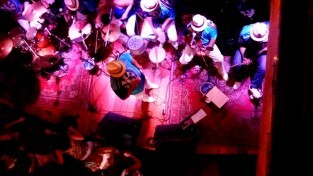 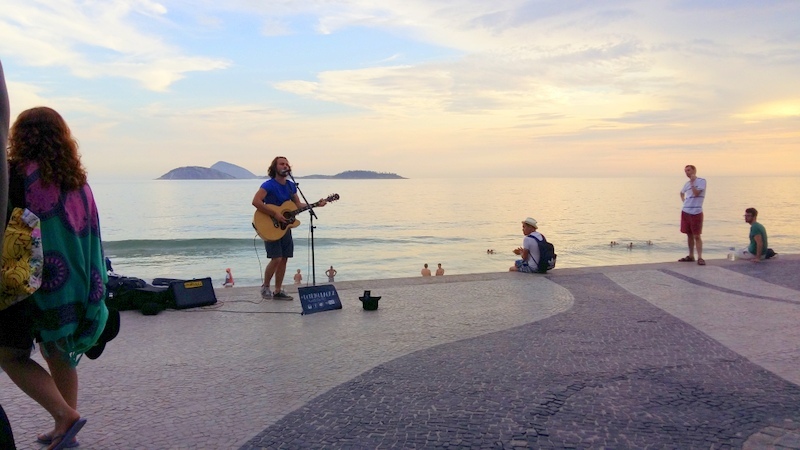 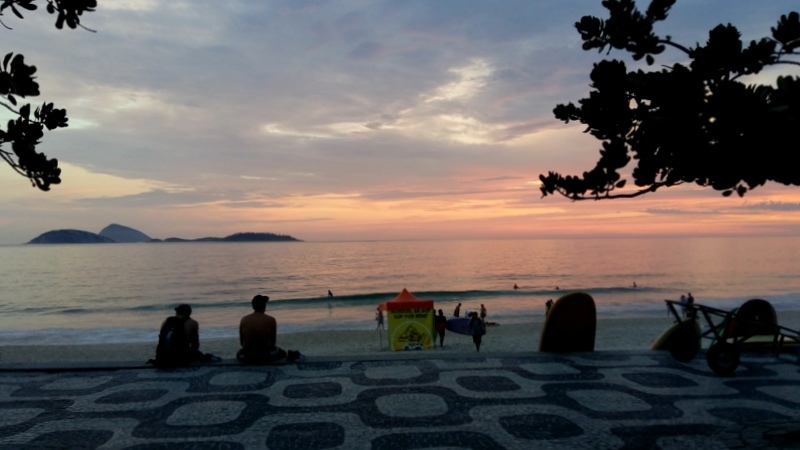 Go to Garota de Ipanema, the very place where Tom Jobim wrote the famous Bossa Nova song “The girl from Ipanema”. 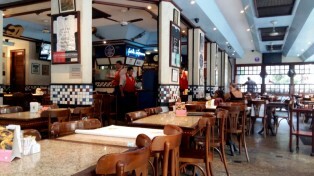 This might be a very busy and touristy place but the food and atmosphere were great. 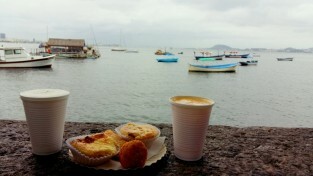 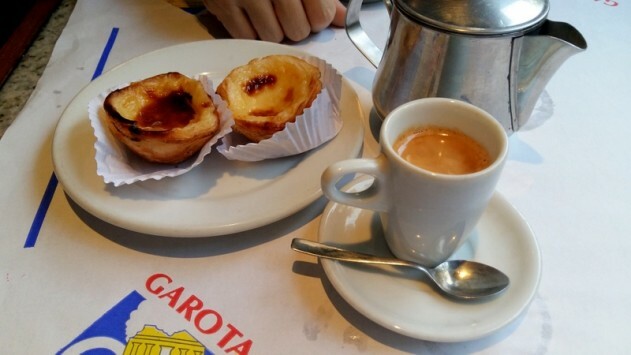 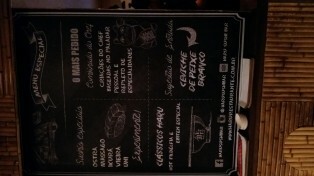 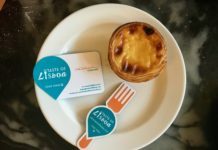 We had the famous Brazilian Picanha dish with Farofa and chips, and for dessert we had the Pastel de Nata with coffee. 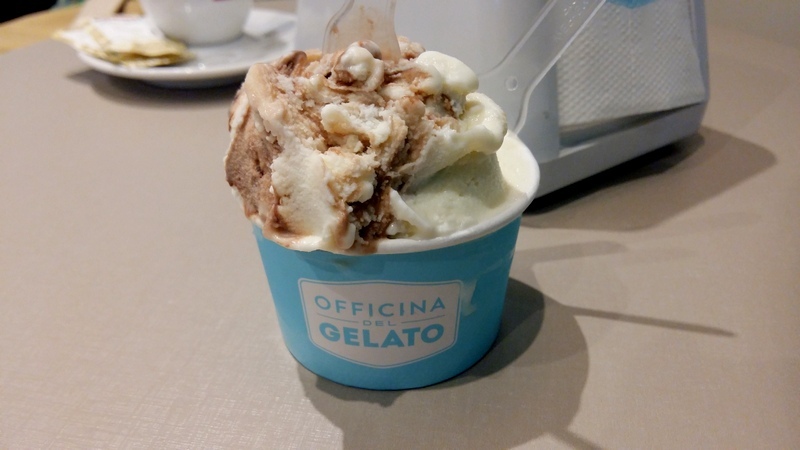 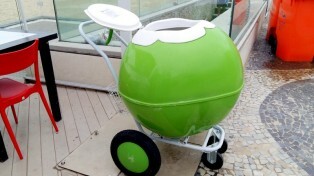 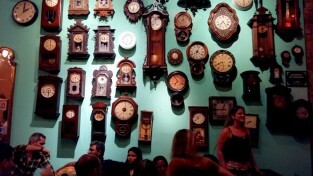 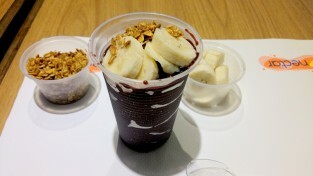 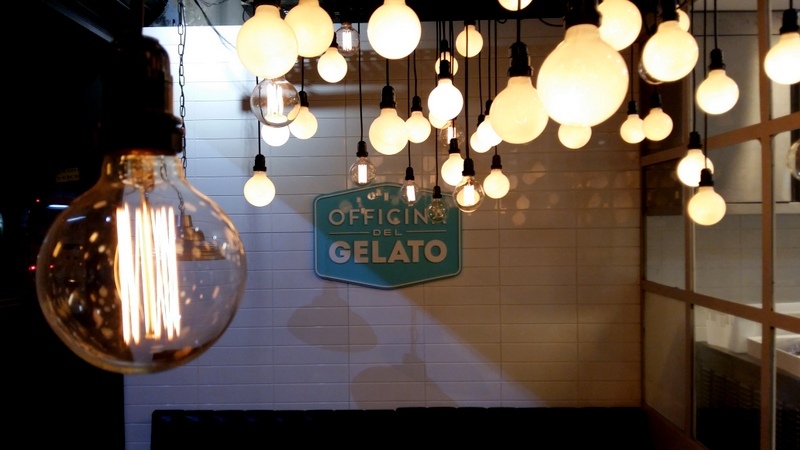 For Icecream – Go to Oficina del Gelato in Copacabana. 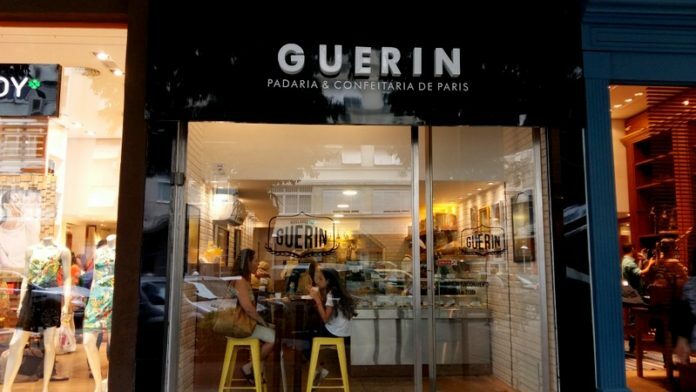 For Coffee and French pastries try one of the Guerin shops. 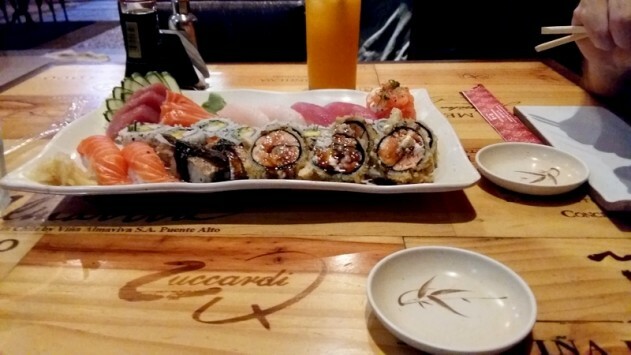 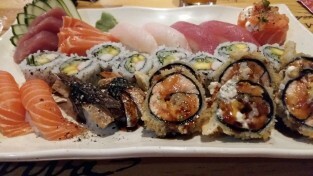 For Sushi go to Haru Sushi Bar in Copacabana, They have excellent Sushi combinations! 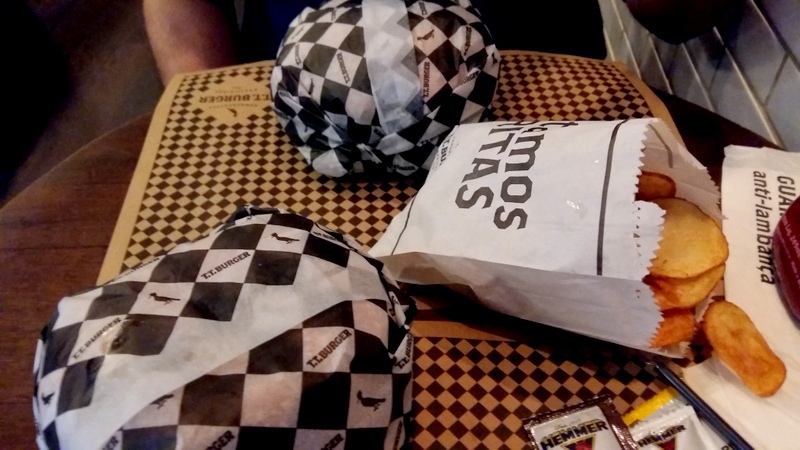 And if you want to have a really good Burger, you must go to T.T Burger in Ipanema.